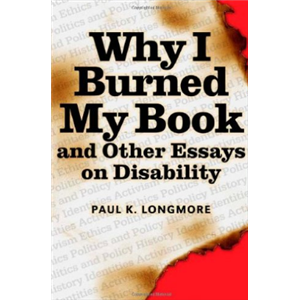 This wide-ranging book shows why Paul Longmore is one of the most respected figures in disability studies today. Understanding disability as a major variety of human experience, he urges us to establish it as a category of social, political, and historical analysis in much the same way that race, gender, and class already have been. The essays here search for the often hidden pattern of systemic prejudice and probe into the institutionalized discrimination that affects the one in five Americans with disabilities.